Experimental Animal Division performs quality control (QC) by genetic and microbial tests based on resource information provided by the Depositor to ensure the reproducibility of the experimental results. Please confirm the list and explanations of performed, not-performed and supplemental QC tests for mouse resources in each distribution format. We would like to ask all the users to confirm the quality and characteristics of our mouse resources as soon as possible, before starting your full scale experiments. If there is any question or concern on possible defect, please let us know by email to animal@brc.riken.jp so that we can take required action. We greatly appreciate all your feedbacks that are necessary for improving the quality of our resources. Genetic QC tests are performed at deposition or before distribution, and the test results and/or protocols are posted in the web catalog. Performed tests for each strain classification are shown in the Table below. *TG: transgenic mice, BAC-TG; transgenic mice generated by using BAC clone, cTG: conditional transgenic mice, KO: knockout mice, KI: knock-in mice, cKO: conditional knockout mice, CRIPR/Cas9: Endonuclease-mediated mice. Transgene-specific PCR: A PCR test by using transgene-specific primers designed based on information provided by the Depositor to detect the promoter and the gene driven by the promoter. Targeted gene-specific genotyping PCR: A PCR test by using targeted gene-specific primers designed based on information provided by the Depositor. The test results and/or protocols of spontaneous and ENU-induced mutant strains are posted in the web catalog when tested. KO survey: PCR tests for TG, BAC-TG, cTG, KO, KI, CRISPR/Cas9, cKO and spontaneous/ENU-induced mutant strains to detect any contamination with other genetically-modified mice by using primers for 10 representative marker genes (neo, Pgk-neo, Tk-neo, IRES, lacZ, GFP, Cre, Flp, Puro, and Hyg, Nakata H et al.Exp Anim 58: 437-442, 2009). loxP/FRT-survey: PCR tests of cTG and cKO mice to examine the fragment length between loxPs or FRTs with primers designed based on information provided by the Depositor. Confirmation of structure of conditional alleles which carry loxP or FRT. Detection of BAC-loxP: A PCR test for BAC-TG to detect loxPs derived from BAC vectors. Genetic background test: PCR tests for the genetic background of inbred and wild-derived strains by using microsatellite or single nucleotide polymorphism (SNP) markers. Test results are posted in the web catalog when tested. Sequence analysis of genomic region or mutated gene: Sequencing of transgenes, targeted genes or any other mutated genes of TG, BAC-TG, cTG, KO, KI, CRISPR/Cas9, cKO and spontaneous/ENU-induced mutant strains. Analysis of integration site of the transgene on the genome. Expression analysis: RT-PCR, Northern hybridization, Western blotting, Detection of reporter genes such as GFP and lacZ. Autopsy, histopathology, FACS and other phenotypic analyses requiring special equipment and/or expertise. Karyotyping, FISH and chromosome painting. When any of Not-performed QC tests described above or any other QC tests are performed, the test results and/or protocols are posted in the web catalog. When any of Not-performed QC tests described above or any other QC tests are requested by users and feasible in our division, the tests can be performed at the users’ expense. The test results and/or protocols are posted in the web catalog. Microbial QC tests are performed bimonthly by using dirty bedding sentinel mice housed in each rack. Test results are posted in the web catalog. Deposited mice are housed separately based on the microbial test results at deposition, and then, all the mice are cleaned-up by a rederivation procedure. We aim to eliminate all tested pathogens after rederivation. When any positive test result is obtained in a strain, we notify the recipient of the strain directly and post an alert in the home page. * Strains of highly sensitive to Class C pathogens by defects such as disruption of immune-related genes are designated as immuno-deficient strains and separately handled from general strains with special care for the microbial control. Since some general strains can be sensitive to Class C pathogens depending on housing environments and experimental conditions, it is necessary for a user to pay attention to an appropriate microbial control of such strain with reference to information of the strain. A “◯” mark in the Table indicates that pathogens in the Class are tested by detecting antibody production, culturing and PCR and etc. Class C tests for general strains. Tests for other pathogens not in Class A, B, C or D.
Tests of a mouse directly from the requested strain. When Not-performed QC tests are requested by users, the tests are performed at the users’ expense. Tests of the recovery rate of cryopreserved embryos after thawing and transferring to recipient females. The test results are posted in the web catalog. Genetic QC tests are performed by using deposited mice, parental mice of frozen embryos and recovered mice from the recovery tests. The test results and/or protocols are posted in the web catalog. Genetic QC tests of frozen embryos themselves are not performed. Performed tests for each strain classification is shown in the Table below. KO survey: PCR tests for TG, BAC-TG, cTG, KO, KI, CRISPR/Cas9, cKO and spontaneous/ENU-induced mutant strains to detect any contamination with other genetically-modified mice by using primers for 10 representative marker genes (neo, Pgk-neo, Tk-neo, IRES, lacZ, GFP, Cre, Flp, Puro, and Hyg, Nakata H et al. Exp Anim 58: 437-442, 2009). loxP/FRT-survey: PCR tests of cTG and cKO mice to examine the fragment length between loxPs or FRTs with primers designed based on information provided by the Depositor. Confirmation of structure of conditional strains which carry loxP or FRT flanked alleles. Microbial QC tests are performed using recipient females of the embryos or foster mothers used in the recovery test for live mice. * Strains of highly sensitive to Class C pathogens by defects such as disruption of immune-related genes are designated as immuno-deficient strains and separately handled from general strains with special care for the microbial control. Since some general strains can be sensitive to Class C pathogens depending on housing environments and experimental conditions, it is necessary for a user to consider an appropriate microbial control of such strain with reference to information of the strain. When tests of recipient females or foster mothers themselves are requested by users, the tests are performed at user’s expense. When tests of mice for distribution are requested by users, the tests are performed at user’s expense. When Not-performed QC tests which are requested by users and feasible by using frozen sera and/or organs of sperm donor males, the tests are performed at the users’ expense. Evaluation of the motility of fresh sperm and the concentration of the sperm suspension prior to freezing. Recovery test of live mice from frozen sperm. For strains that live mice are recovered from frozen sperm by in vitro fertilization, the results are posted in the web catalog. Frozen sperm is produced by using genotyped male donors. Genetic QC tests of deposited mice and sperm donor males are performed. The test results and/or protocols and are posted in the web catalog. Genetic QC tests of frozen sperm are not performed. When any other QC tests are performed in supplement, the test results and/or protocols are posted in the web catalog. When Not-performed QC tests are requested by users and feasible in our division, the tests can be performed at the users’ expense. The test results and/or protocols are posted in the web catalog. Microbial QC tests of sperm donor males and sperm itself are not performed. Microbial QC tests are performed bimonthly by using dirty bedding sentinel mice housed in the same rack where recipient females of embryo transfer or foster mothers are housed. The test results are posted in the web site. All recovered litters are distributed to users. Microbial QC tests are performed bimonthly by using dirty bedding sentinel mice housed in the same rack where recipient females of embryo transfer or foster mothers are housed. The test results are posted in the web catalog. When tests of mice distribution are requested by users, the tests are performed at user’s expense. All recovered litters including chimeras are distributed to users. Genotyping and germ-line transmission test are not performed. Whole activities of Experimental Animal Division, RIKEN BioResource Research Center depend on the deposit of mouse strains and associated information by scientific community. We greatly appreciate all depositors/developers for your contribution. 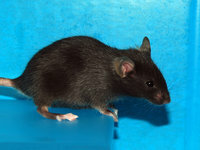 As the mouse is living organism, genetic drift, mutation, contamination and infection by microorganisms can occur during propagation and should be considered as inevitable events, even though one does best to prevent them to occur. In addition, because of sophistication and complication in experimental systems and intellectual property right issues regarding mouse resources, it has become very difficult for any scientist to grasp accurate information. These unintended and undesirable defects or mistakes in the quality of mouse resources and associated information should not become causes for a lawsuit by users or third parties against scientists who have generously deposited their resources. With this notion, RIKEN BRC recently revised its Materials Transfer Agreements (MTAs) for Distribution, by adding the indemnification clause in Articles 9 and 10 of the MTA for non-profit academic use or Articles 10 and 11 of the MTA for profit use. As legal obstacles are removed, we would like to ask scientific community for active deposition of mouse resources. At the same time, to improve the integrity of science using mouse resources, we would like to ask all depositors for several points described below regarding depositing mouse resources and information. To all depositors, we would like to ask for providing us with precise information in order to ensure the reproducibility of experimental results. The following information is necessary for our genetic quality control tests listed below: relevant papers, primer sequence for genotyping, sequence information of vectors and transgenes used to generate genetically-modified mutant mice and mating history and etc. Our division is happy to assists you for the information provision. Please contact us (animal@brc.riken.jp) for any assistance. If there is any discrepancy between the depositor’s information and our test results, we will inform the depositor on the results. If necessary, we may ask correction of information or resending the mice. Performed QC tests for each strain classification is shown in the Table below. When the Depositor’s protocol includes methods other than PCR, our division designs a PCR test based on the information provided by the Depositor. Whenever a PCR genotyping of a mutant strain becomes available by a published paper, we prepare a PCR genotyping protocol and post in the web catalog. When live mice are deposited, microbial QC tests are performed before and after rederivation procedures. When cryopreserved embryos and/or sperm are deposited, microbial QC tests are performed at the recovery of live mice. We are not able to accept deposition of infected mice with underlined zoonotic pathogens in the Table below. ① Tests of deposited mice with serum samples for Class A pathogens. ③ Bimonthly tests of sentinel mice housed in the same rack where recipient females of embryo transfer or foster mothers are kept (General strain: Class A and B pathogens, immuno-deficient strains: Class A, B and C pathogens). ① Tests for foster mothers used for recovery of live mice (General strain: Class A and B pathogens, immuno-deficient strains: Class A, B and C pathogens). ② Bimonthly tests of sentinel mice housed in the same rack where recipient females of embryo transfer or foster mothers are kept (General strain: Class A and B pathogens, immuno-deficient strains: Class A, B and C pathogens). 1) Cryopreservation of sperm immediately after deposition. 2) Recovery by in vitro fertilization and embryo transfer. 3) Rederivation into the barrier facility. 4) Colony expansion for distribution and cryopreservation of sperm. 5) Distribution and replenishment of frozen sperm. 6) Closure of the live colony. BALB/c, A, NOD and any other strains than those for cryopreservation of sperm listed above. Inbred, recombinant inbred and any other strains maintained as homozygous state by sibling mating. Genetically-modified and mutant strains whose sperm cannot be used for in vitro fertilization due to the male lethality or sterility. 1) Breeding deposited mice or their progeny to prepare for cesarean section. 2) Rederivation by caesarian section into the barrier facility. 3) Colony expansion for distribution, cryopreservation of embryos. 4) Distribution and replenishment of frozen embryos. 5) Closure of the live colony. Strains requested for distribution when deposited or expected to be of high demand. 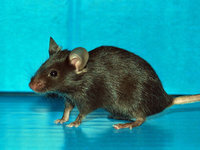 1) Breeding deposited mice or their progeny to prepare for cesarean section or in vitro fertilization/embryo transfer. 2) Rederivation by caesarean section or embryo transfer into the barrier facility. 3) Colony expansion for distribution and cryopreservation of embryos and sperm. 4) Distribution and replenishment of frozen embryos and sperm.